From its earliest days, Middletown Christian Church has been opening its doors to help those in need. In 1862, only 18 years after its founding, after a nearby Civil War skirmish, “The church opened its doors to allow the surgeons to work on the wounded soldiers,” said Jerry Miller, a longtime member of Middletown Christian Church. “I can envision that they used the pews and communion table to do surgery because that’s the only furniture they had.” For the wounded and bleeding soldiers, the church provided shelter, safety and a second chance at life. From Civil War soldiers to school children to impoverished people in distant lands, Middletown Christian Church, founded in 1836, has a history of reaching out and being God’s healing hands in the community and in the lives of others. 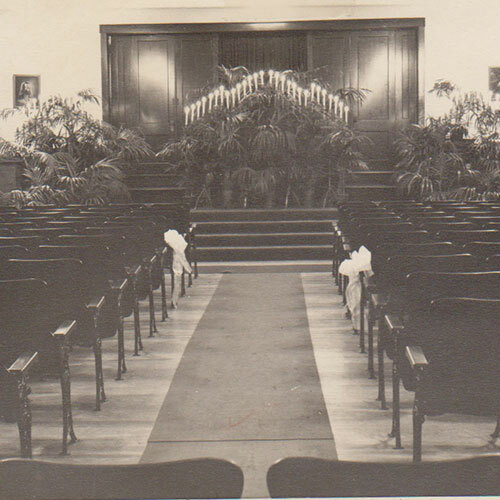 Between 1875 and 1946, the congregation added much-needed space to the old church, often building it with their own hands. 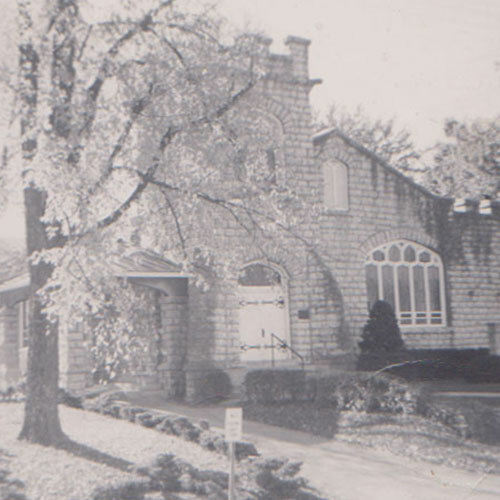 Eventually the church built a parsonage, and in 1964 a new Christian Education addition was built. 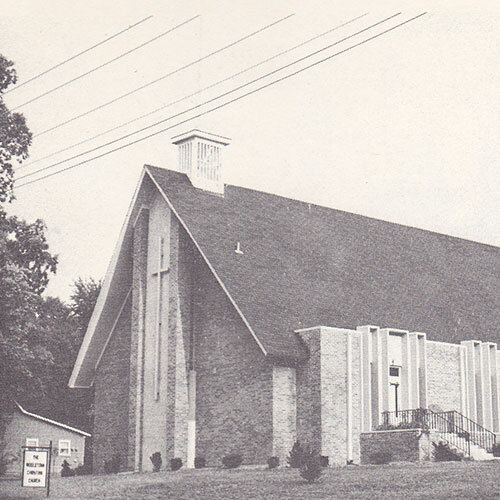 In 1968, church members razed the old church and began erecting a new church building. Members contributed more than 10,000 volunteer hours to the construction, and the new church was completed by Derby weekend 1969. Four years later, the congregation added 3,200 square feet to the sanctuary. 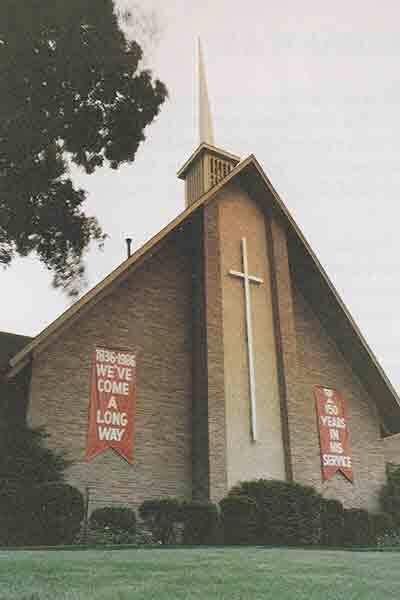 By 1990 the congregation had outgrown its second church and had no room to grow on the three-acre site on Main Street. The church purchased a 67-acre tract of land less than one mile from the church’s historic original location. Some of the property was sold to a commercial developer and 9.2 acres were set aside for the development of Middletown Christian Village (now Village East), a senior living community. Construction began on the new sanctuary and education building at the corner of Watterson Trail and Blankenbaker Parkway in the Fall of 1998. 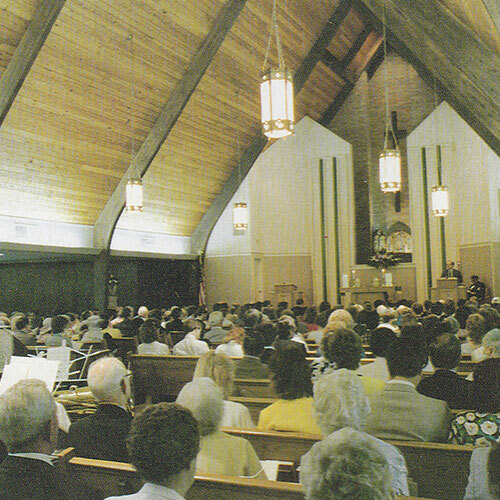 Church members celebrated the first service in the new church on November 21, 1999. The church worked with the state to have Blankenbaker Road extended to Shelbyville Road and donated land for that extension. The congregation was blessed to find such a large, beautiful piece of property in the center of Middletown that would enable the church to expand over time. In 2006, a 28,000 square-foot addition was completed, creating more room for children, youth and adults and a much needed multi-purpose space used for recreation, fellowship and an alternative worship area. In 2013, we renovated a significant portion of the lower level and dedicated the ARISE Youth Center. The additional space as well as the rest of the facility is now used by many groups within the community. Today, Middletown Christian Church is a thriving congregation that welcomes an average of more than 900 people in worship each Sunday. Vibrant Children’s and Youth Ministries hold great promise for the future of our church and its vision. Over 350 people of all ages participate in Group Life, sharing life together in grace-filled relationships. And through the generosity of our congregation’s time and treasure, we serve in our church, in our community and in our world, including at least five mission trips per year.